ZunZuneo: The U.S. government's bizarre and ill-advised plan to build a fake Twitter to topple the Cuban government. The must-read U.S. foreign policy story of the day is undoubtedly the AP’s extensive investigation into USAID’s efforts to create a social media project aimed at destabilizing the Cuban government. This was back in 2010, a time when everyone was still abuzz about the “Twitter revolutions” in Moldova and the Philippines as well as the role the Internet played in Iran’s 2009 Green Movement. Just a few months earlier, Hillary Clinton had, in her now-famous Newseum speech, called for “a coordinated response by all governments, the private sector, and the international community” to promote Internet freedom. With all this as a backdrop, USAID evidently thought it a good idea to help facilitate the creation of a barebones “Cuban Twitter,” which ran on cellphone text messaging to avoid Internet censors. It was thought that if the program caught on, it could help activists form “smart mobs” to protest the Cuban government. ZunZuneo, Cuban slang for the sound a hummingbird makes, drew users in with noncontroversial messages on topics like “soccer, music, and hurricane updates.” At its peak, ZunZuneo had 40,000 users—none of whom were aware they were using a service developed by the U.S. government. This lack of transparency is what separates the project from projects like Voice of America, or Radio Martí, which everyone is aware are U.S. government stations, or other U.S.-supported efforts to help activists circumvent Internet censors. There’s also the fact that the ZunZuneo team was apparently using the service to gather data on Cubans without their knowledge. For instance, when the Colombian rock star Juanes played a concert in Havana in 2009, the service sent out blasts asking respondents whether they thought “two popular local music acts out of favor with the government” should be onstage. One hundred thousand people responded—unaware that they were essentially participating in a U.S. government poll. 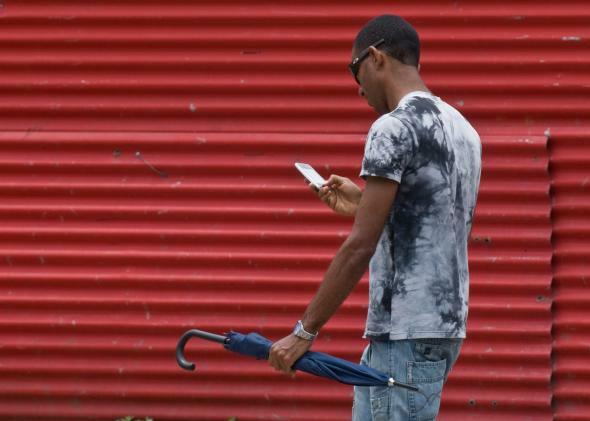 ZunZuneo fizzled out in 2012 when the project ran out of money—to the bafflement of many of its Cuban users. This Facebook page seems to be the only remnant of it left online. Given that U.S. foreign policy toward Cuba is where logic goes to die, the story shouldn’t be all that surprising. (For the last six years, the U.S. government has spent more than $24 million flying a plane around Cuba broadcasting propaganda that no one is able to hear.) But this one’s still a doozy. I also imagine the Chinese companies behind programs like WeChat can’t wait for the next time U.S. regulators raise concerns about their services being infiltrated by Chinese intelligence.